Hey fans and followers of Minecraft are you guys searching for yet another update of REI’s Minimap Mod Minecraft which is available on all around the internet. 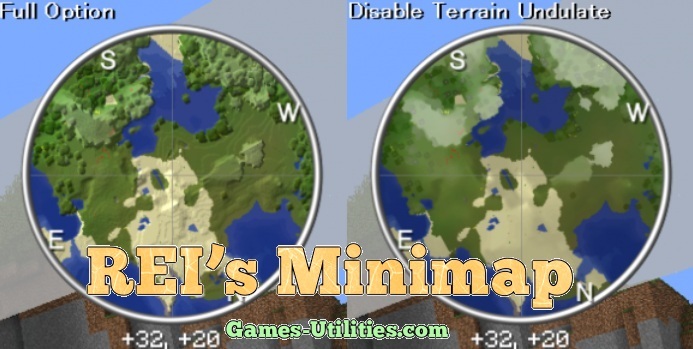 REI’s Minimap mod for Minecraft is a special tool which is designed by ReiFNSK and He put a lot of effort in it to add a minimap on the right of your screen. So be the first to check this out. Note: Rei’s Minimap will be available as soon as its released. So keep checking the latest updates. This version is unsupported by Minecraft Forge. Install it manually by moving the files into the v1.7.2 Jar file. You can use Magic Launcher for that. And remember to delete Meta-INF folder. For Minecraft 1.6.4: [1.6.4]ReiMinimap_v3.4_01.zip (249 KB). For Minecraft 1.6.2: [1.6.2]ReiMinimap_v3.4_01.zip (250 KB). For Minecraft 1.6.1: [1.6.1]ReiMinimap_v3.4.zip (256 KB). Download the REI’s Minimap Mod zip file from the link above. Go to Start Menu > Run > Type %appdata%/.minecraft/versions and press ENTER. There were some speculations about the upcoming version Minecraft and these are quietly true. But some how you will be able to see the next version of REI’s Minimap mod for MInecraft within few days of version release. So folks don’t miss to comeback here and check the latest updates of Minecraft.